Spring is finally here and with warmer weather, more people are taking their workouts outdoors. Few workouts are simpler and more satisfying than a great run but running outside presents some personal security risks. 1. 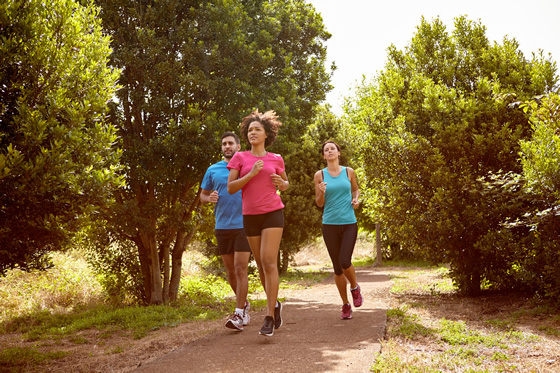 Run with a Partner – Runners that find themselves alone in isolated areas are most at risk of attack. If possible, always run with a partner or a group. 2. Leave a Plan – Be sure to let someone know you are out for a run, where you are running and when you expect to return. Then check in with them when you are back. If you encounter a problem, this practice will help facilitate rapid assistance. 3. Start & Stop in a Safe Location – Prior to your run, you are likely to stretch and get organized for your workout. When you are finished, you are probably focused on water and your post run stretch. In both cases, you are less attentive to your surroundings, making you an easier target for an attacker. So always start and stop your run in a safe location. 4. Good Lighting – Attackers rely on concealment and poor lighting to give them an advantage over their target. Avoid running after dark or in poorly illuminated areas. 5. Avoid Remote Areas – Attackers plan to escape undetected after an attack and with as few witnesses as possible. Running in populated areas minimizes your risk of attack while increasing the chances of detection and apprehension if an attack does take place. 6. Keep Safe Space – Most attacks on runners occur when the runner is ambushed from a concealed position. Keeping space around you gives you time to identify a risk and evade an attacker. Avoid areas of dense foliage, narrow paths, or other areas with limited space. 7. Be Aware of Your Surroundings – Pay attention to what is taking place around you and stay alert to potential risks. Consider eliminating the use of headphones or earbuds and other distractions. 8. 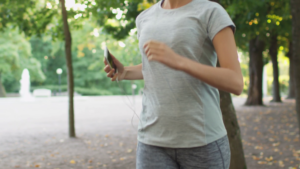 Keep Communications at Hand – Take your mobile device with you on your run and don’t hesitate to dial 911 if threatened. 9. Make Some Noise – Consider running with a whistle or other noise making device. If an attack is attempted, you are likely to stop it by drawing attention to yourself with loud noises. 10. Trust Your Gut – If something makes you uncomfortable about a person or a place, trust yourself and leave immediately. Your “gut feeling” is the result of your perception of risk at a subconscious level. It is an early warning indicator of risk and can save your life! Effective personal security doesn’t have to be cumbersome or restrictive; it is simply the result of keen awareness and the exercise of good judgement. Have a plan, stay aware, trust your gut, and have a great run! For more information on trusting your gut, read Gift of Fear by Gavin De Becker.